This is a delicious omelette for two people that is quick and easy to make. I use a non stick pan lightly greased with oil (extra virgin coconut oil if you have it). About four large spinach leaves chopped up (the quantity will depend on your tastes). 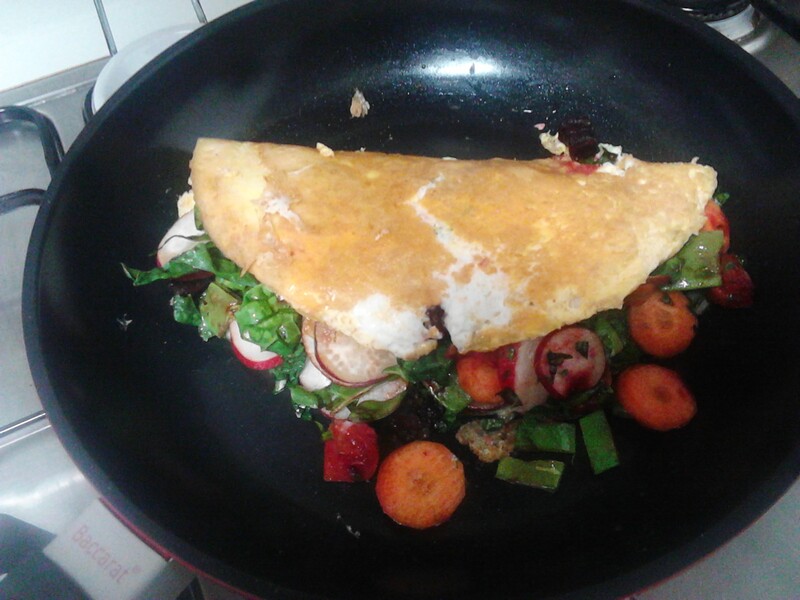 I like to pile it high on the omelette as it flattens a bit when it warms up. Mix of your favourite vegetables sliced and chopped. I have used one of my favourite salad mixes which l will post shortly (radish, celery, carrot, snow peas, parsley, mint with diced roasted beetroot and pumpkin). Remember that the vegetables will be just heated through and not cooked so they will be crunchy and nutritious. Black ground pepper and sea salt. Pour the egg mix into the heated pan. When starting to set pile on to one half of the omelette the spinach and vegetable mix and season with the salt and pepper. 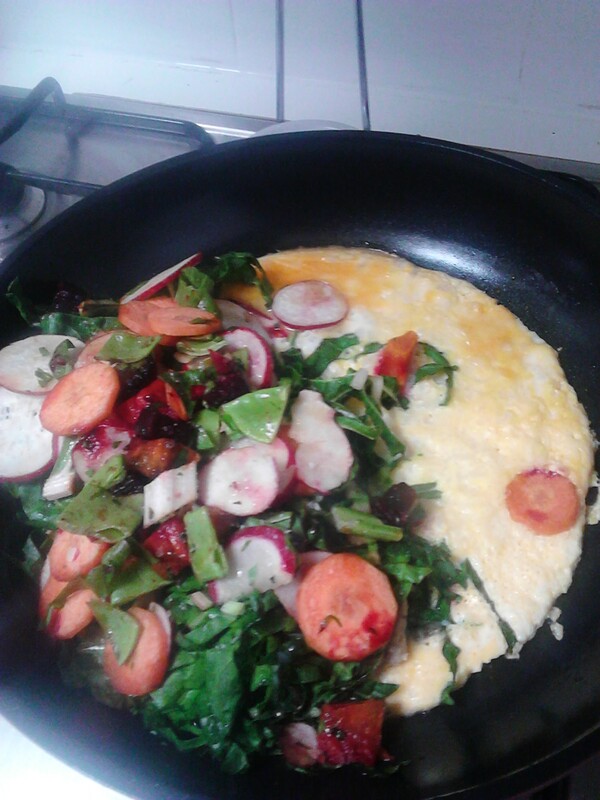 Fold over the plain half of the omelette and press down lightly. Push any filling back into the omelette that has slipped out and cook until the filling is just starting to settle. Cut down the middle with the egg flipper or spatula and carefully place each half on a plate. I love that the filling spills out onto the plate. 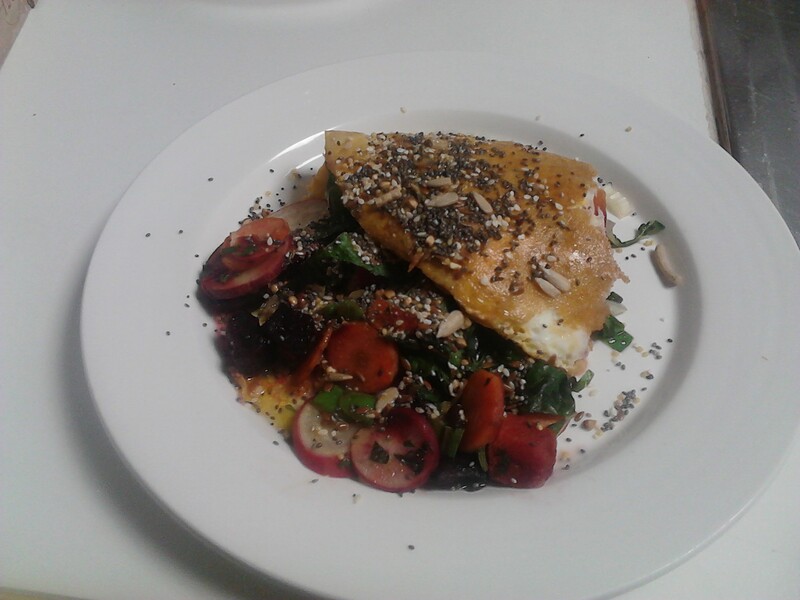 I have finished mine off (as per the picture above) with my favourite salad dressing (recipe below), the kapai puku seed mix and some chia seeds. 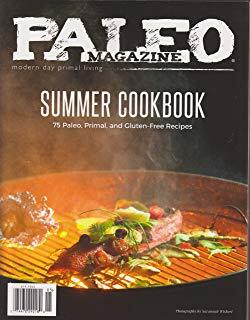 Blend together with a hand mixer half a cup of flax oil, one quarter cup apple cider vinegar, one tablespoon raw organic sugar, the juice of one lime or lemon and some black ground pepper. Place in a nice jug or glass jar and cover with wrap and keep in the fridge.